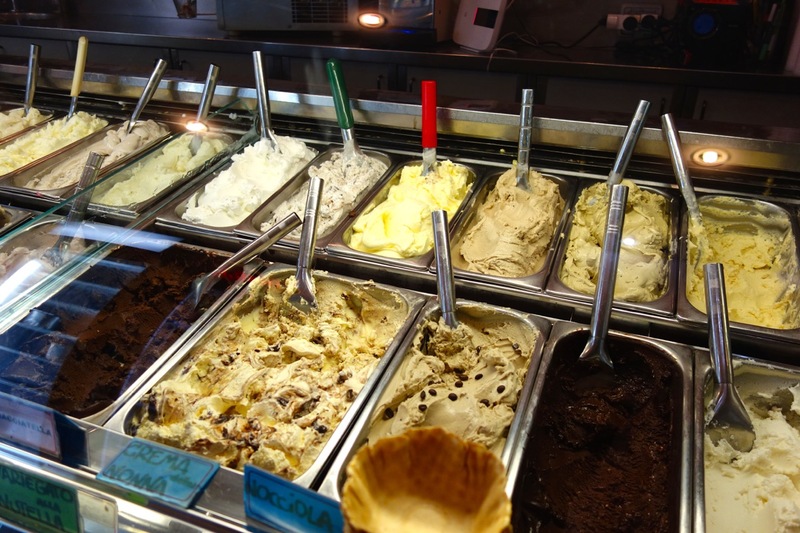 Looking for the Best Gelato Near Rome Pantheon? There's plenty of delicious gelato near Rome pantheon. But not all gelato is created equal! 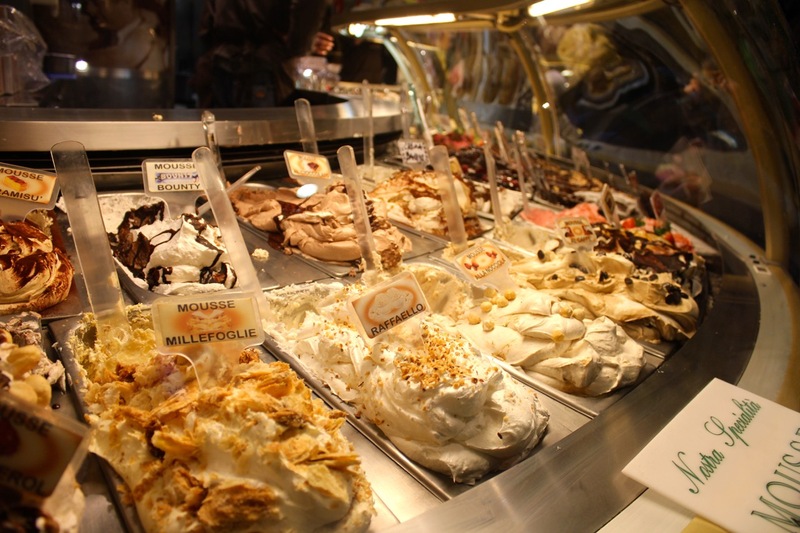 In Rome, there's good gelato and amazing gelato. Find out where to go. 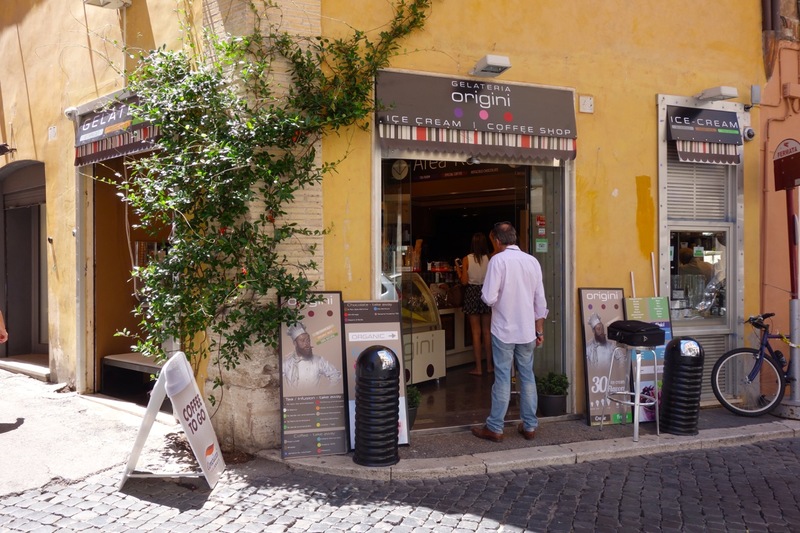 For me, the best gelato in the pantheon neighborhood is Origini, but I am listing the others so you can do some taste-testing and judge for yourself. The last one on the list is quite special....don't overlook it! At the very bottom of this page, I've mapped them out for you! I have a feeling you might have been expecting some other names here, but actually, they are in my list of "touristy gelato" near Rome Pantheon. You want real artisanal gelato near Rome Pantheon? With superb cream flavors and seasonal fruit flavors? Then Origini gelateria is the place. It's a small shop on a corner just behind the pantheon, but pretty easy to spot with both doors open and the gelato visible from the street. They have a limited selection of mostly standard flavors, but they are all excellent. Interestingly, they have a "coffee corner", which seems almost American-style . . . but what is strange is that they charge you 2€ to sit there! Anyway, go for the gelato. Get a cup or cone to go! 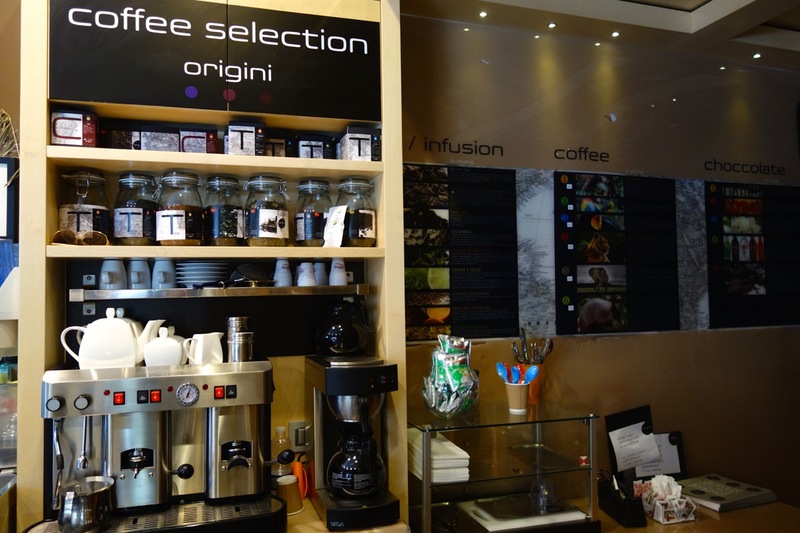 The "coffee corner" at Origini gelateria - for a price! How to get there: Via del Gesù, 73. Facing the pantheon, walk to the left of it and behind it. You will come to the church of Santa Maria Sopra Minerva, where you'll see a sculpture of an elephant with an obelisk on it. Take a left there and you will see Origini gelateria on your right side. 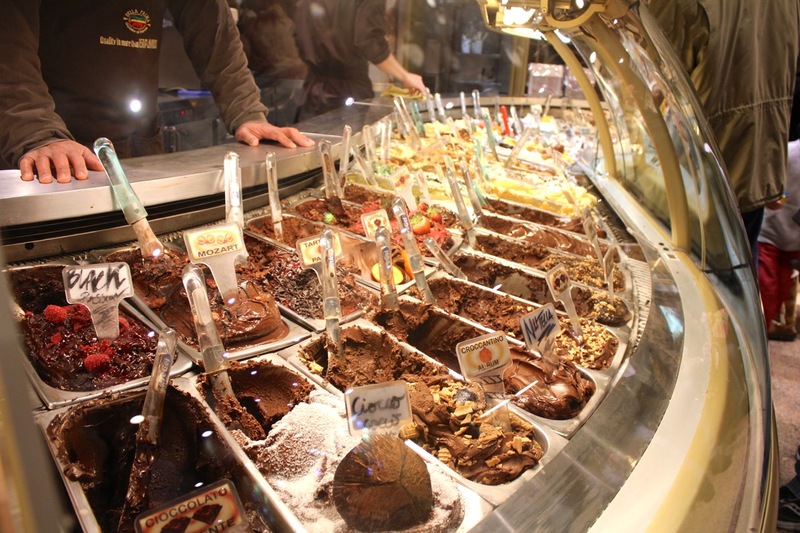 These two gelaterias on opposite sides of the pantheon are favorites with locals. I have tried the gelato at both places. Both are good although neither one really wows me. 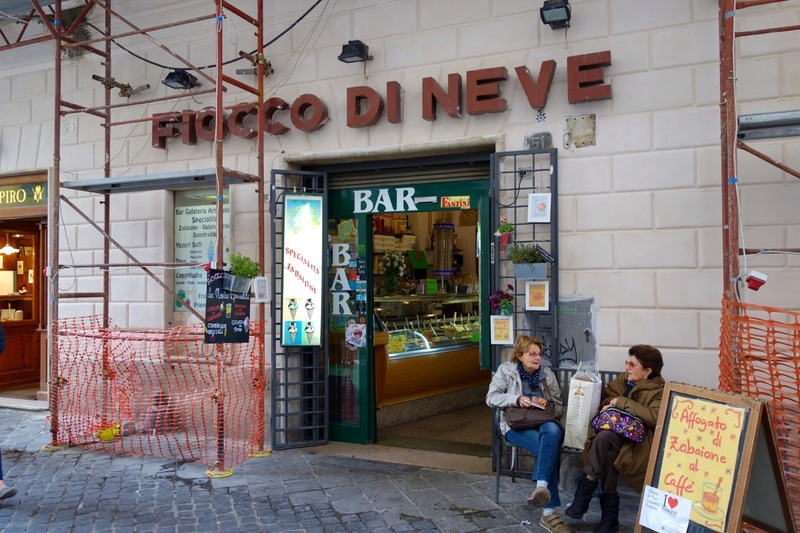 Gelateria Fiocco di Neve is an old-time gelato shop right on the via del Pantheon. It's actually a mix of a bar/café/gelateria. They are the only ones on this list to offer a little bench outside, for sitting for a spell. I think the gelato is good (not amazing), creamy and flavourful. 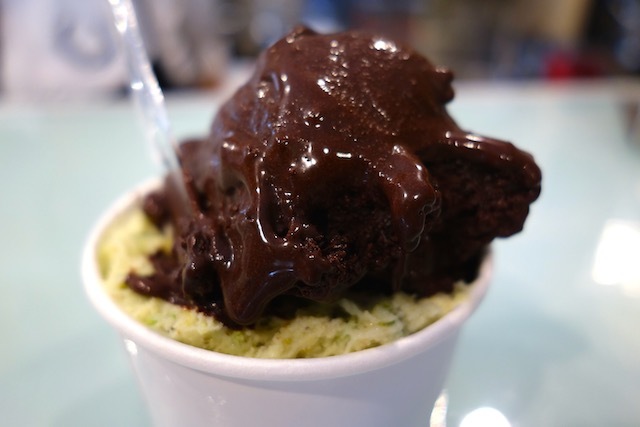 Their dark chocolate lives up to its promise and the pistachio has a rich nutty taste. How to get there: via del Pantheon 51. With your back to the pantheon, walk up the street on the right, via del Pantheon. Fiocco di Neve is at the end on the right. Cremeria Monteforte is another of the old-fashioned cremerias (another word for gelateria) near the pantheon. Actually it's next to the pantheon. Locals swear by it. I think it's ok but it's never where I think to go when I want gelato in this neighbourhood. Their dark chocolate is rich but there is some depth missing. Their pistachio has a bit of a watery texture, not creamy enough. Not very high praise I know. How to get there: via della Rotonda 22. Facing the pantheon, it's literally on the right-hand side of it. I'm sorry to have to put it this way but it's just how I see these gelaterie. That doesn't mean they are not good. Giolitti and Gelateria della Palma have been on the Rome scene a long time and are of course in every guide book. They are not my favorite gelato near Rome Pantheon, but they offer good gelato and a nice experience. I believe that Giolitti has more artisanal gelato than della Palma. 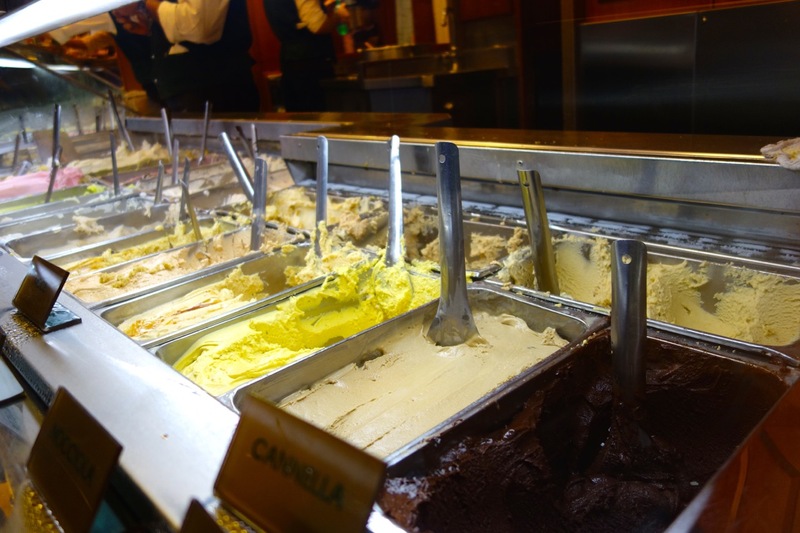 Giolitti - This gelateria is very popular, and a fixture on the Rome gelato scene. They do make excellent fruit flavours. It's not my fave but it's a classic so you may want to do a little taste-testing. But you should know, you have to pay first, then go ask for your gelato. And the lines at both the cash register and the gelato counter are, in my opinion, not worth the wait. There is a big price difference if you get your gelato to stand/to go vs. sitting down and having waiter service. And sitting outside automatically means waiter service. Check the prices before you order! How to get there: Via Uffici del Vicario, 40. With your back to the pantheon, walk away from it up either street, until you come to piazza della Maddalena. Keep walking straight, along via della Maddalena. At the end of this street, make a right onto via Uffici del Vicario. 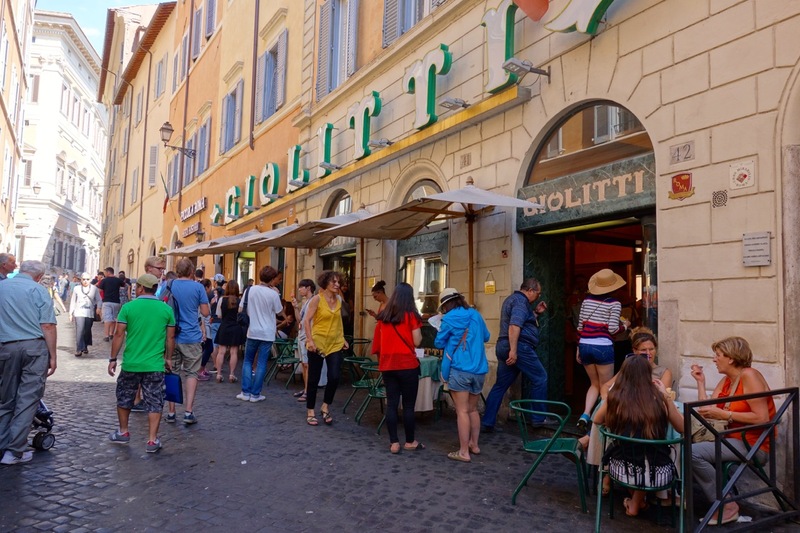 You will easily spot Giolitti as it has a large sign, tables out front, and big crowds. Gelateria della Palma - I include this one because it's so visually fun. The whole place looks like something out of Willie Wonka and the Chocolate Factory. 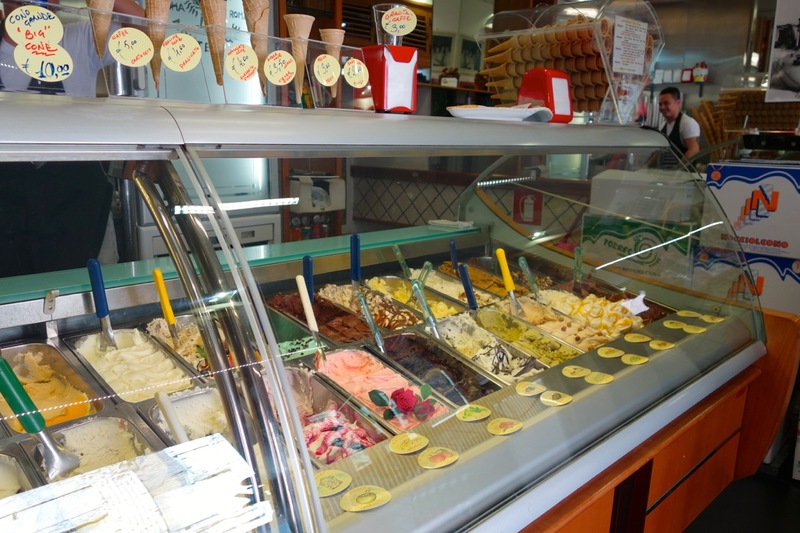 The gelato is rich and good, and it's a treat to see the variety of chocolate flavours they came up with. I don't love their mousse gelatos which I find too sweet and fluffy. But that's me. How to get there: via della Maddalena 19. With your back to the pantheon, walk away from it up either street, until you come to piazza della Maddalena. Keep walking straight, along via della Maddalena. della Palma is about half-way up this street on the left. Hard to miss as it has bright palm stress painted on all its windows. Once again, I am not against a gelateria just because it's popular with tourists. I've been a tourist too! However, I just don't find these to have the best gelato near Rome Pantheon. Grom is a relative newcomer, a small Italian chain with an outpost in New York City. I have only ever seen long lines of tourists there...that does not make it bad. What I don't like about Grom is simply...the gelato. I find it completely mediocre and uninteresting. And believe me, in the interest of giving you good info, I have tried it plenty. Maybe I'll have to try it again...but I also feel life is too short to waste on bad gelato! I used to just love San Crispino gelato. But I am over it. The gelato is good. Some of the flavors are excellent, such as their meringues, and the banana. But they are just a bit too pricey for what you get (a very small amount, and scraped flat), and it's no longer a warm and friendly experience in there. You cannot taste any gelato before ordering it, as you once could, and they now won't let you get two flavors in the small size. With so much other fantastic gelato in Rome, I just don't bother here any more. Not Gelato - but a real Roman treat! Well this entry is not exactly about gelato near Rome pantheon, but it's absolutely worth including on this page. 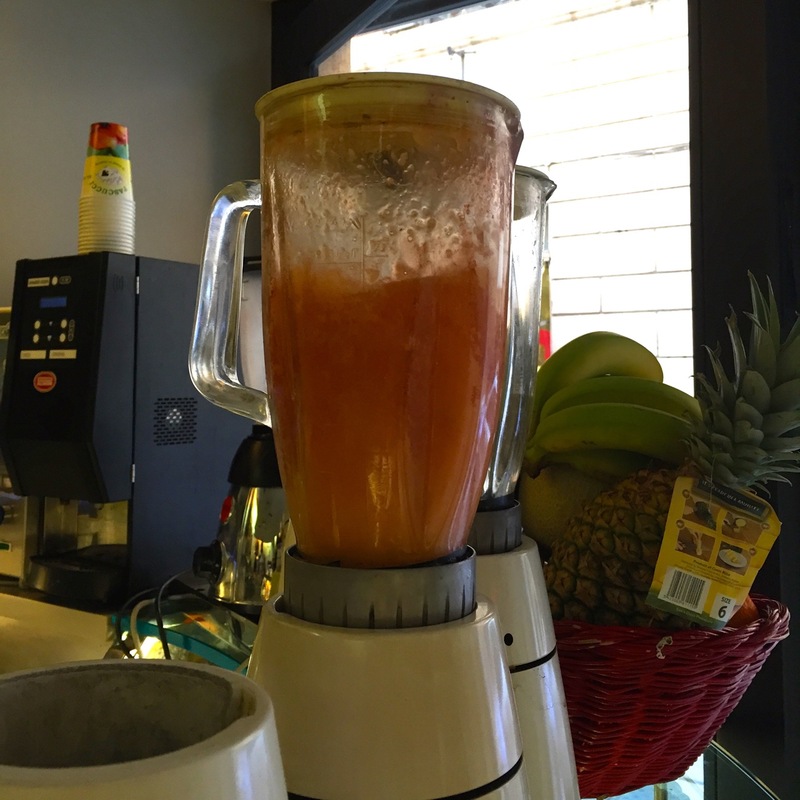 A "frullato" a fruit shake, made with real fruit and either juice, milk or yogurt. It's an old-fashioned treat for Romans. And Pascucci is the old-fashioned place to get one. 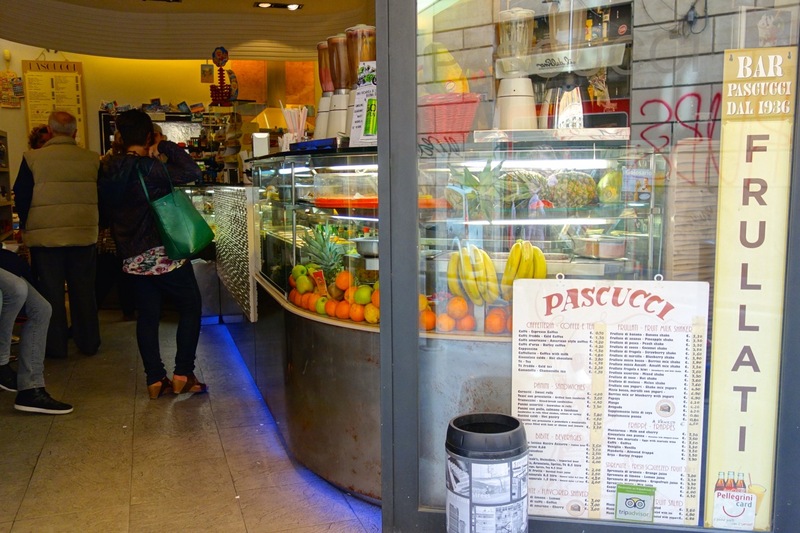 They've renovated to meet newer building standards so you may not realize it, but Pascucci is a very old-time Roman place, and having a frullato there is a real Roman thing to do. How to get there: Via di Torre Argentina, 20. Facing the pantheon, take the street to your right all the way past the pantheon. Keep going straight, and the street becomes via di Torre Argentina. Go almost all the way to the end of this street. Pascucci is a small shop on the left side. Back to the top of Gelato Near Rome Pantheon.